“They are willing to embrace risk and invest in things that may take 10, 20, 50 years to show really concrete results and that’s amazing,” says Caitlyn Fox, chief of staff of the Chan Zuckerberg Initiative. After weeks of critics jumping to conclusions before seeing details or results, Fox spoke with me for nearly an hour about the strategy for Priscilla and Mark’s philanthropic foundation. CZI will be structured similarly to Facebook’s acquisitions. The couple will entrust expert leaders to pursue pioneering solutions to huge problems without much micromanagement. The goal is to use the flexibility afforded by organizing the Chan-Zuckerberg fortune as an LLC rather than a non-profit to experiment in search of impact with agility. 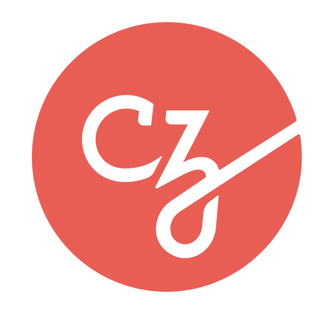 In a sense, CZI looks as much like a startup as a charity. That nontraditional nature rightfully raises questions about process and results. Taking larger risks means there’s a chance a few of the efforts funded by Mark’s $45 billion in Facebook riches will fail or fall short. But some of today and tomorrow’s most urgent challenges, diseases and injustices won’t be beaten by incrementally addressing their symptoms. The Chan Zuckerberg Initiative’s configuration gives it the freedom and funding to take big swings at the causes of humanity’s troubles. Chan and Zuckerberg can’t do it all themselves. Priscilla is working as a doctor and overseeing The Primary School, the couple’s attempt at reimagining K-8 education. Mark is running one of the largest companies on the planet. They don’t have the time or ground-level understanding necessary to lead efforts to alleviate poverty, advance medicine, improve politics or reduce inequality. They know this. “A big pillar of their philosophy in general is enabling leaders in each of these areas,” Fox tells me. She explains that Chan and Zuckerberg will still get deep in the areas of interest to determine who the most visionary leaders are. Once they’ve recruited experts they trust, the couple will enable them to direct the foundation’s resources. It mirrors how Mark has organized Facebook’s acquisitions of companies like Instagram, Oculus and WhatsApp. He’s empowered Kevin Systrom, Brendan Iribe and Jan Koum to run their products quite autonomously. They’re the experts on photos, virtual reality and international messaging. Zuck believed they’d continue to be the best people to lead their companies, but now with a common purpose under the Facebook banner. Other tech giants’ acquisitions have stalled or disintegrated under the heavy yoke of their parent companies. Yet the independence granted to Facebook’s buys have propelled each to new heights of impact. Now Zuckerberg is bringing that game plan to philanthropy. “So instead of micromanaging each individual investment, it’s more about finding the people that they trust to then help them make those decisions,” Fox says. The organizations with tried-and-true models for impact need someone to blaze the trail. Fox told me CZI could potentially test and identify ways to help and funnel them toward more reserved sources of funding. That could include hard science attempts at curing diseases or generating energy, self-sustaining for-profit models that don’t require constant donations — moonshot philanthropy. 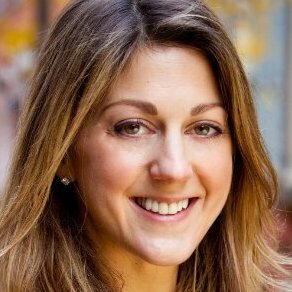 Fox will bring her experience in management consulting and defining strategy at The Rockefeller Foundation to her role as chief of staff at CZI. This won’t be the first time the Wharton Business School graduate applies the ideals of charity to for-profit models. There are plenty of open questions for her to answer at CZI. The organization is still hammering out how to measure success for its long-term plays. Meanwhile, it’s determining how to best discover what to support. Currently it’s not accepting unsolicited proposals. CZI hasn’t taken a stance on whether funding the arts or doing direct cash transfers to those in need will be part of its efforts. And Fox admitted that the public’s concerns about how the LLC structure works are valid, but urged people to reserve judgment until CZI had results to show. One way it seeks to maximize those results is keeping CZI as lean as possible. Fox says this has two main advantages. First, keeping a lower headcount ensures as much money as possible goes to the causes themselves. And second, it keeps Chan, Zuckerberg and the experts they trust close to the situation, creating short feedback loops so they can learn and course-correct as quickly as possible. Transparency will be of particular interest to both CZI and its critics. Fox says the foundation endeavors to be incredibly transparent. However, she noted that in some cases, especially when CZI co-invests with other groups, the grantee doesn’t want added attention. Or if it invests in the for-profit sector, it may not immediately disclose its involvement. That secrecy could ruffle feathers since some might argue open collaboration among problem solvers would accelerate results. Yet by backing private companies, CZI could earn outsized returns that it plans to reinvest in doing good. Much of the backlash against CZI has focused on Zuckerberg’s history as one of the most successful technologists of all time. Yet critics have largely ignored the fact that the name of the foundation starts with Chan, who Dr. Sam Hawgood, the chancellor of the University Of California, San Francisco, lauded for her “commitment to the most under-served in our communities” during medical school. Fox tells me that while Zuckerberg brings his visionary insight and optimism, Chan grounds their work with perspective from her time as a teacher and doctor. By starting early, the duo will have plenty of time to grow as benefactors. While other major donors didn’t earn or pledge their billions until later in life, Chan and Zuckerberg’s youth is an opportunity. “They’re very patient philanthropists,” Fox says. “They don’t need clear results in a year, in two years. That means CZI’s funding will require even more responsible allocation in the near-term to minimize waste. But if Chan and Zuckerberg can find the right approaches and the right people to execute them, they have a chance to address our world’s most vexing dilemmas. Not just those that affect us today or their newborn daughter Max, but that loom over generations to come.